Dome tent, always with sea view! We rent out Jack Wolfskin Eclipse for two or three person. Self-supporting dome tent that works great even on smooth rocks. Additionally, only the inner tent can be used separately, which is perfect for getting away if any mosquitoes but still able to see the sunset, starry sky and the sunrise from the cuddly sleeping bag in the tent. Two vestibules making the tent easy to use. The tent is packed in a waterproof bag. 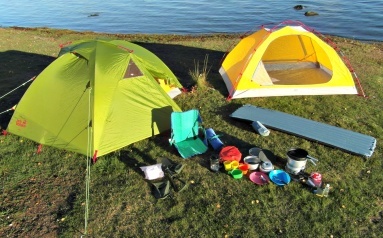 After several years of testing of several models, we have chosen to use only Exped airmat Plus for rent. 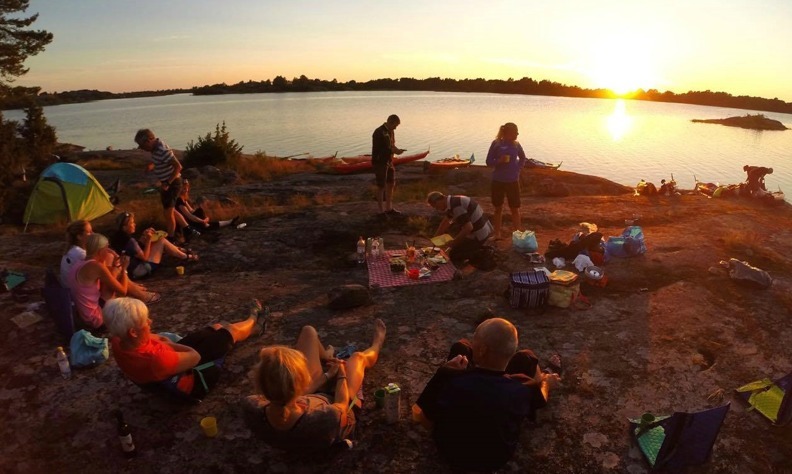 We are sure that you will like Exped as much as we! The sleeping mat you pump up easily with the built-in hand pump and can self-regulate how hard or soft it should be. Curled in the packing bag, they take very little space in the kayak's cargo space. Trangia camping stove with gas burners, we dare say is the best kitchen when the weight does not matter. Teflon frying pan, two pots and coffee pot, cutting board, lighters, sponge and eco-labeled dish soap for seawater is included in the basic package. Gas is also included in the price. In the cooking package (everything you see in the picture) is included: gas stove incl gas, all the cookware and utensils for cooking. 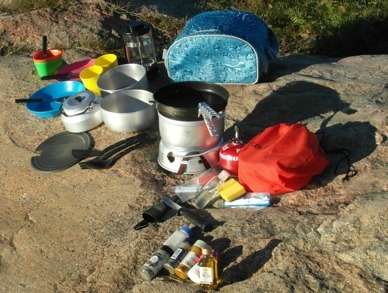 plates, bowls, cups, cutlery, knife, tin-opener, coffee press, kayak designed cooler bag,freezer packs, garbage bags. 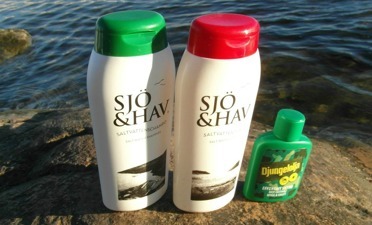 We also sell for only 300 SEK new summer sleeping bag. Tell us when booking what's best for you. 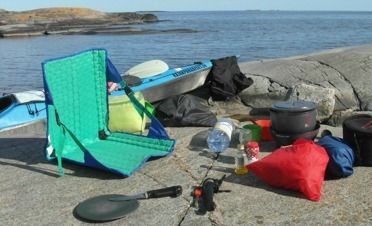 This year this comfortable outdoor chair is included for those who rent kayak two or more days!